NIX Solutions is delighted to present the first Android application – uFlowers. The functionality of the application is based on its analogue uFlowers for iOS. 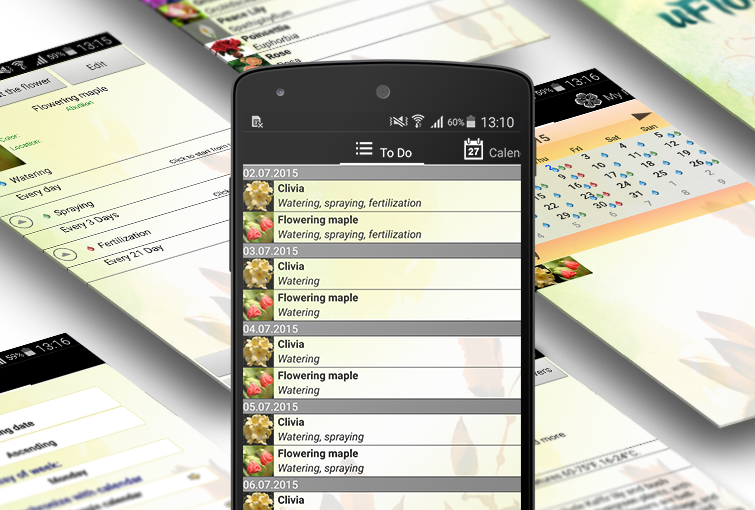 We have developed our first android application for you to keep plants and flowers at your home or office in good shape and enrich your life with their blossom. All the blooming and decorative plants require care and attention from their owners. Everything you might need is included in one convenient handy Android application. 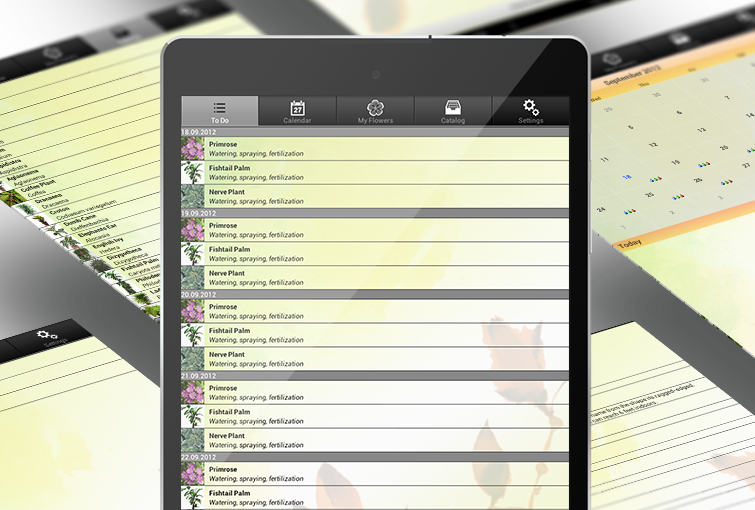 Built-in catalogue of plants allows you to create a full list of flowers in your house or office. We included the most popular flowers into catalogue such as violet, rose, orchid, azalea, begonia, spathiphyllum and many others. Every plant or a flower has a description with the required temperature and lighting as well as the type of soil and fertilizer. For instance you have gorgeous but capricious violet. Choose violet from a catalogue, select a place for it (room, windowsill, garden), type of fertilizer and feeding frequency. All the activities you put down once for the violet are synchronized with the calendar and are reminded about at the right moment. Thus your precious flower won’t feel lack of water and feeding. Even if you are going on a business-trip or a vacation you can ask someone else to look after the plants and he or she will handle this task easily without learning all the details about growing flowers. If you are a lucky owner of the rare or exotic plant you can add it to the catalogue by providing its description. Photos of the flowers can be changed too. And it’s great for occasions when your cactus has blossomed out at last. You can download uFlowers Android using QR code on this page. Got any suggestion on functionality or design enhancement? Contact us or leave a reply below. Follow our Android development team and be the first to find out the latest news and app’s updates on @NixS_idev.